Normandy, formerly a province in the north of France, so called from the north Rovers or Northmen, otherwise called Norman, was founded by Charles the Simple, in A. D. 912. Normandy, as a part of the French Nation, was overcome by William the I, known as William the Conqueror in 1066. William was the son of the Duke of Normandy, and with inherited rights, he soon overpowered Duke Guide of Macon, and Count Arquies, by the aid of the disaffected French. Then rallying the combined forces, he finally, at the historic Battle of Hastings in 1066, succeeded in making all those countries subjects of the British Crown . During the Twelfth Century it was wrested from the British by the French Armies, and again subdued by the British at a later day. This turbulent age tended to create lawlessness, and to develop a spirit to despoil and rob the surrounding Countries. The Norsmen, or Normans, were a bold and venturous people engaged mainly in farming, with the more intrepid in commerce, especially in Sea commerce. These engaged in Sea Commerce, in keeping with the spirit of the age, became known as Sea Rovers and occasionally as Pirates on the High Seas. They were widely known as invincible fighters and materially aided William in his designs for supremacy. 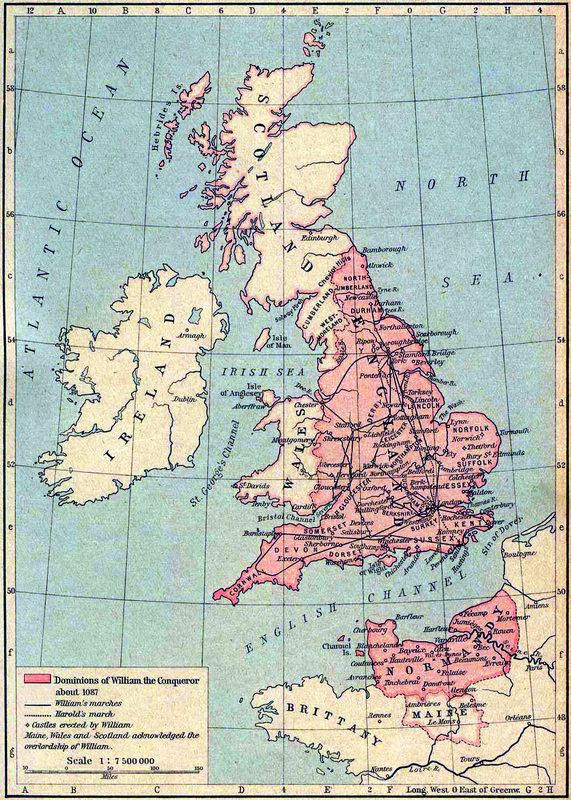 Having assumed the Dukedom in 1035, William steadily acquired power, till the victories above named were attained, and he became the greatest Monarch of his age, and assumed the British Crown. Many of the People of Normandy, attracted by such able leadership, and the lucrativeness of English agriculture and commerce, crossed over into the conquered country and acquired homes, and aided materially in making the Country of England great and progressive as she has ever since been. Among those to locate in England about this time was one, Edward De Gresse and his son, Edward, the elder of whom was with William at the Battle of Hastings, and subsequent to that event. After the De Gresse's became citizens of England, the French prefix "DE" was dropped, and to distinguish them as land owners the word "Ham" was added and under this modified name a "coat of arms" which distinguished and dignified the family for many generations, was conferred on them. Just when and by whom this Coat of Arms was conferred is not known, but the fact of its use by this family is clearly shown by early English History. 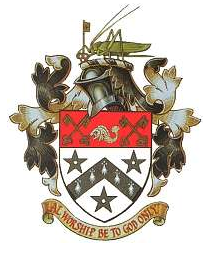 The coat of Arms consisted of a Grass Hopper on a greensward, "Gross", meaning green and the Hopper indicating the activity of GRESHAMS in their devotion to the King. Its use, as shown by the records, is the evidence that the Greshams are the descendants of the De Gresses. In some of the early writings the Greshams were described as the family of the Green Homes, which the Grass Hopper on the Greensward indicated. This Coat of Arms, as students of History know, became the legally protected insignia of the Greshams and was their pride for many succeeding generations. This, in brief, is the record of the family from 1035 to 1086, in Normandy after the battle of Hastings. For the next two hundred years History is silent, but occasional reference to the Coat of Arms is the conclusive proof of the relationship of the Greshams of the eleventh to those of the thirteenth and fourteenth centuries. Passing down to the sixteenth Century, Sir Thomas Gresham, of London, whose high standing and eminent services were widely known with his three brothers, John, Richard and William, and one sister Mrs. John Thyme, are prominently mentioned in every English History. It was about 1560 that Sir Thomas was knighted and became an important personage in affairs of State and Diplomacy of that day. Some eighty years after this, in 1641 John Gresham "Gent" with his wife and son John,immigrated to America. From careful study of the records of the day, I have concluded or assumed that this John Gresham "Gent" was a son of the John Gresham, "Gent" mentioned above as a brother of Sir Thomas Gresham. I therefore place "HL" John Gresham as the progenitor of American Greshams. A full chronological account of the Greshams, during the eleventh, twelfth and thirteenth centuries cannot be given, but it is known that during the twelfth century, Edward Gresham, presumably a descendant of the De Gresses, founded the town of Gresham, in the County of Norfolk, England. In the Paston letters, published during the reign of Edward VI and written by one of the early Greshams, who was the Secretary to Judge Paston, this fact is clearly set forth. We find the names of John Gresham, Anson James, and a grandson, John, and one William Gresham, during this known period who, from the Coat of Arms, are known to have been residents of Gresham, England, and ancestors of the Gresham family. Leaving the ancestral home of Gresham, we trace by the Arms, Crest and English History, the family to London, John Gresham, a wealthy merchant to whom Sir Thomas was apprenticed, was esteemed as a successful businessman. His brother, Sir Edward Gresham, was also a merchant, and was elected Lord Mayor in 1537. Sir Richard, father of the illustrious founder of the Royal Exchange, became Gentlemen usher Extraordinaire to King Henry VIII and at the tearing to pieces of the Monasteries by that Monarch, by his judicious courtliness he obtained no less than five grants of Church lands. His daughter married John Thyme, an ancestor of the Marquis of Bath. 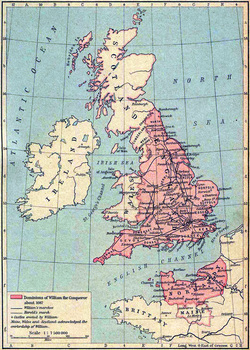 Sir Richard had three brothers, Thomas, John and William, the latter was Chancellor of Litchfiled. Sir Thomas Gresham, son of Sir Richard, was born in 1519, was educated at Gonville Hall, Cambridge, and Cairns College, was apprenticed to his Uncle as a merchant, was admitted to the Mercers association in 1543, represented the King at Antwerp in 1551, was dismissed by Queen Mary but quickly reinstated; served Queen Elizabeth as a diplomat, and with great distinction restored the debaced currency of the Nation; and negotiated and introduced many financial reforms; he was ambassador to the Netherlands and was knighted by Queen Elizabeth. He owned much landed property and established the first paper mills of England. His son, Richard, dying in 1564 to whom he was greatly attached, in memory of which he established the Bourse, or Royal Exchange, and eight Alms Houses. He married a Suffolk widow. Queen Mary, in recognition of his eminent services gave him at different times, a Priory, a Rectory and several Manors and advantages. In his will he gave his beautiful home in London to Trustees to be used as an institution of scientific advancement and to be known as Gresham College. T here were to be seven professors at an annual salary of fifty pounds each payable out of the rents from the Royal Exchange. This college was burned down and rebuilt, twice since its establishment by act of Parliament, the present beautiful structure, being built in 1843, on the corner of Basinghal and Gresham Streets. He died in 1579 after a career of great usefulness and with honors worthily earned. Cousin, Peter H. Gresham, attended a course of lectures in this building a few years ago. A statue of Sir Thomas was erected on the Plaza on the Royal Exchange, and when the structure was burned in 1666 this statue was the only thing that withstood the fire. The exchange was subsequently rebuilt, and the Arms of Gresham adorn the south and east sides of the magnificent structure. Human, in a book published in 1628, in describing the "Loafer" of that time sententiously said, "Though little coin thy purseless pockets line, yet with great company thou art taken up, for oft with Duke Hunfry thou dost dine, And oft with Sir Thomas Gresham Sup."